Hungary has just taken over the presidency of the EU for the next six months and already its hard-line Prime Minister has been criticised for introducing legislation seen as undemocratic – such as giving his government control over the media to maintain “balance”. The German socialists are particularly unhappy with Mr Orban because of this and the European Commission is investigating it. The leader of the German Greens said Oban didn’t understand that the EU was; “born in a struggle against totalitarianism and liberty is freedom of expression”. The Hungarian Prime Minister, who opposed Soviet rule in Hungary, was unimpressed at being criticised by Germany. Hungary marked the start of their presidency by sending over a huge (210 sq m) carpet to be laid in the atrium of the Council of Europe’s HQ.The design depicts an historical timeline and shows Kings, artists, composers, scientists, and inventions like the ballpoint pen (invented by Lazlo Biro). Unfortunately an 1848 map in the middle of the carpet shows Hungary as it was when it ruled over Slovakia, Serbia, Yugoslavia, Transylvania, and Romania (reflected in the old coat of arms). This didn’t go down too well and an Austrian MEP even claimed that Hungary wanted to overthrow the 1920 Treaty of Trianon which forced it to give up 2/3 of its empire at the end of WWI. Mr Orban’s government is popular – it was elected by a 2/3 majority – and apparently many Hungarians have car stickers showing Greater Hungary. 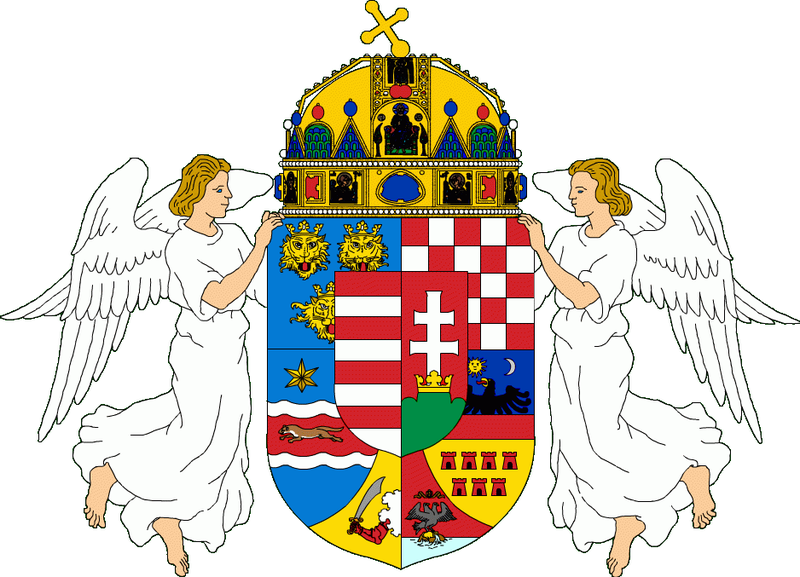 Hungary also upset its neighbours by offering citizenship to ethnic Hungarians in other countries. Hungary is not alone in wishing to turn back the clock. Relations between Poland and Lithuania are strained. Poland supported Lithuania in the 1991 revolution but now Lithuanians are annoyed that Polish tourists in the capital Vilnius often refer to it as their capital Wilno and complain when locals don’t speak to them in Polish (the older generations tend to speak Russian as their second language whilst the younger ones speak English) and that Lithuanian buses now have to have signs in Polish. On the other hand Poland complains that Lithuania is not offering Polish lessons in schools – which Lithuania categorically denies. I have heard Russian tourists in Vilnius complain that it is full of Poles and some Poles still consider Lviv in Ukraine to be theirs too so it’s not always so friendly in post-soviet countries. Hungarians are not unused to controversy and getting round the rules. In the 1940s the Russians set up Comecon (Council for mutual economic assistance) to coordinate economic relations across the soviet bloc and to centrally plan production. So each country was told what it could produce and what it couldn’t. Czechoslovakia, Poland and Romania were allowed to make cars but Hungary was forbidden to. Although it had no existing car industry having a national vehicle was considered a symbol of patriotism in eastern Europe. So Hungary found a solution using a Magyar speciality known as the “little gate” or kiskapu. When one door closes another opens, especially if lubricated by money. So under communism if X was forbidden but something similar to X but not actually the same thing was permitted – because it wasn’t banned. So Hungary produced a microcar: an enclosed vehicle with a petrol engine, steering wheel and gears, but which wasn’t an actual car because it was too small. And because it wasn’t a car to reverse it you had to stop the engine and start it again in reverse. The cars were launched at the May Day Parade in1956 to great acclaim. Soon private inventors and engineers were designing a range of Magyar microcars; one was so small with a 50cc engine it was called the “motorised shoe”. One car was sponsored by the Ministry of Light Industry but unknown to the Ministry of Heavy Industry. One car had a body made from chicken feathers, pigs’ blood and shellac. Motorbike engines of different sizes were used and some could reach speeds of 80 kph. Categories: Lifestyle, Politics | Tags: Comecon, EU, European Union, former soviet republics, Hungary, Magyar, microcars | Permalink.